Serve your guests with soup/appetizer/ salad/main course/ dessert and much more in biodegradable & ecofriendly designer areca palm leaf dinnerware. 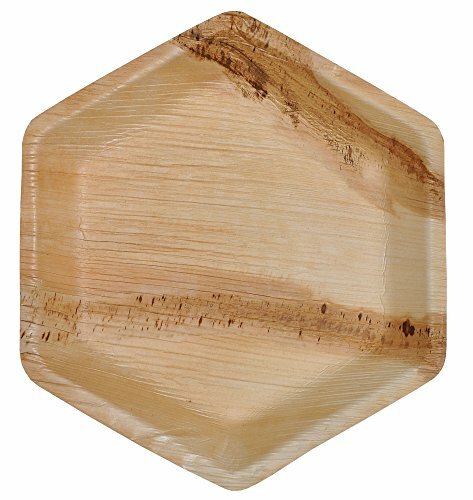 Green Atmos Areca Palm Leaf Plate is designed and made with natural fallen leaf without any chemicals/ coatings to required shapes and sizes without chopping the trees. Green Atmos Areca Palm Leaf Plates are microwave and refrigeration safe. Green Atmos Areca Palm Leaf Plate is a perfect alternate for plastics/ thermofoam/ paper based products and suitable for weddings, parties, picnics, catering, hotels etc. Green Atmos Areca Palm Leaf Plate are strudy and strong as a ceramic/ porcelain plate to use fork & knife, but light weight, biodegradable and a eco friendly disposable. Rosseto Cooler Solutions - finally a way to present condiments, cheeses, sushi and more, that integrates with the rest of your buffet. Rosseto cooler solutions ensure that food is still displayed beautifully in a functional way that makes presentations stand out. By choosing Areca dinnerware you not only show your commitment towards nature & sustainability but also provide your family and loved ones a safe and toxin free dinnerware. Keep the drinks cold in a pretty and convenient way with this great Inflatable Gold & White Floral Wedding Buffet. Simple to blow up and to set up - just fill it with ice and your drinks - this buffet cooler will look awesome with nearly all wedding reception decorations. The pretty gold flowers will stand out, especially in an outdoor event. When the party is over, simply deflate the cooler, roll it up and save it for your next party. Vinyl. Inflated, 54" x 28" x 6"
Made from the finest grade stainless steel, with brushed finish and special protective coating to withstand tough commercial environments. 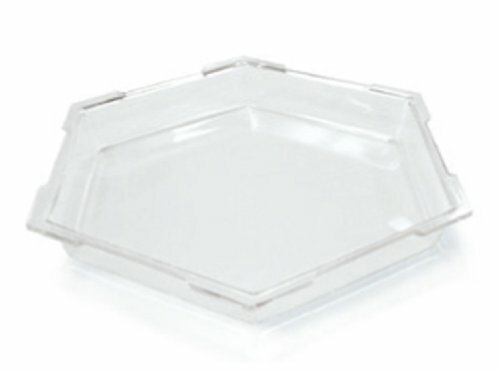 Can be used with the Rosseto small clear acrylic tub item #ICBS10C (not included). 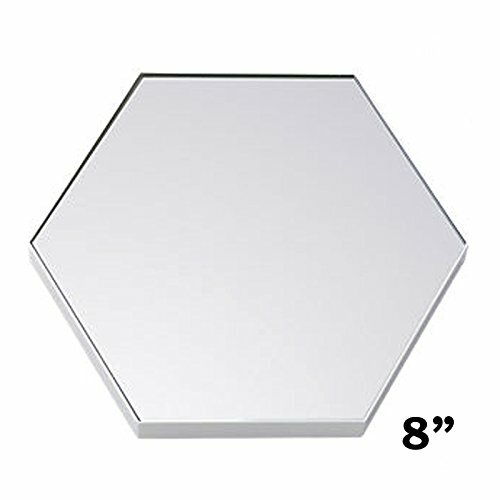 Enhance any centerpiece for your party with our lovely hexagon glass mirrors! The glass mirrors will be the perfect focal point to light up your table decorations. Use these mirrors for your wedding or home decor - with 6 mirrors per order, there's plenty of mirrors to decorate your special event! WHAT YOU GET:Each order is for six (6) round mirrors. 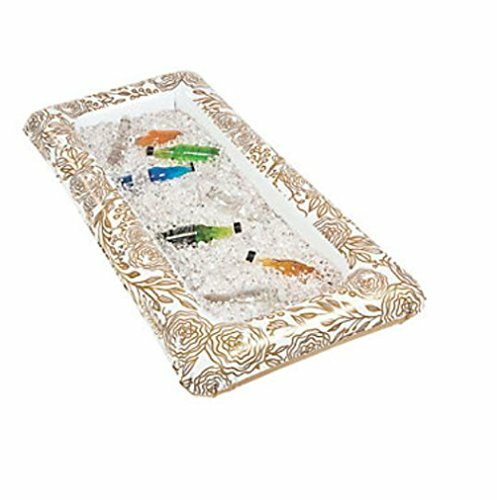 Edges are not beveled.Diameter: 8" wide.Other decorations are not included DISCLAIMER: Because this is a Glass item - Despite multiple boxes and careful shipping, damages in transit are sometimes unavoidable. If it happens, we reserve the right to either replace or refund at our discretion. Our decision will be final on the method of replacement without any exceptions. If package is refused, it will be treated as if it's a return, shipping costs and 10% restocking fee will be deducted. By purchasing this item, you accept and understand the risks involved. NOTE: This item is not recommended for international shipping. 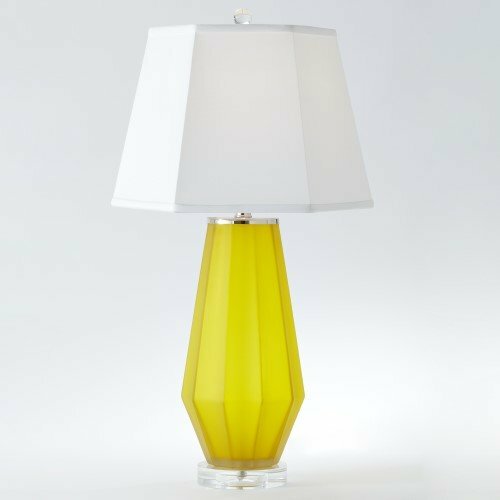 Soft matte glass goes bold with our Fluted Frosted Lamp! The fluted details of the lamp give the simple silhouettes interesting detail. Finished beautifully with a clear round glass base and small orb shaped finial, then topped with a hexagonal hardback white silk shade. The double-thread nature of the silk makes it elegant and durable. Slubs and irregular threads on the shade are genuinely natural and distinctive, with slight variation from piece to piece. 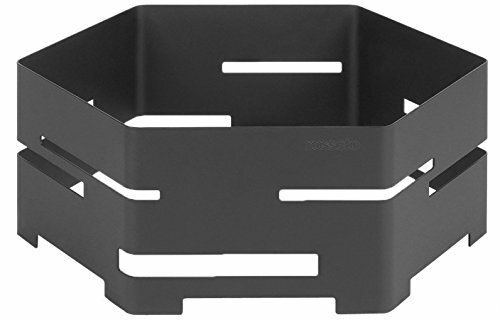 The unique Rosseto stainless steel city riser is part of the versatile Rosseto Skycap buffet ware line. Made from the finest grade stainless steel with a special protective coating to withstand tough commercial environments. 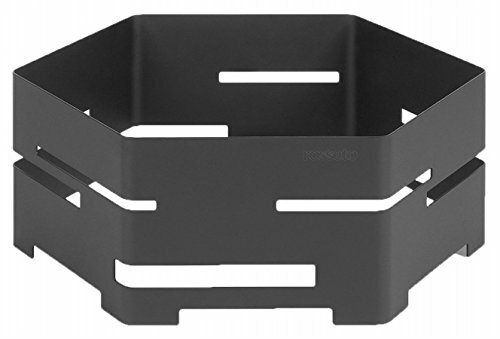 Looking for more Hexagon Buffet similar ideas? Try to explore these searches: Razor Pro Kick Scooter, Yellow Jade Disc, and Lightweight Tool. Look at latest related video about Hexagon Buffet. Shopwizion.com is the smartest way for online shopping: compare prices of leading online shops for best deals around the web. Don't miss TOP Hexagon Buffet deals, updated daily.